Based in Oldbury, near Birmingham, SOLID Applications Ltd. specialises in the supply, implementation and support of 3D CAD, data management solutions and related products. 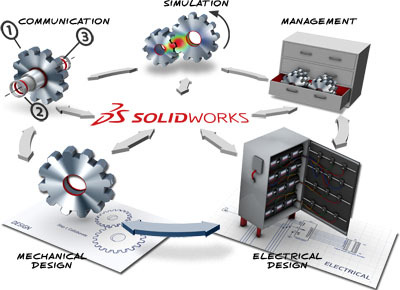 SOLID Applications Ltd are authorised UK resellers of SOLIDWORKS from Dassault Systemes and have been appointed as the UKs exclusive reseller for Delcam for SolidWorkds. Along with these products, SOLID Applications Ltd are also resellers for DriveWorks Design Automation, KeyShot rendering software and InspectionXpert. Please contact us for more information on any of our products, or if you would like to disuss any training requirements you may have.